and in due time release their magick nuts unto the well. And then do th the nohle salmon come forth to feed upon the nuts which drop therein. And when it cometh to pass that we partake of tke flesh of the nohle salmon within the magick circle, and witli blessings duly given unto tke Gods of tke Four Quarters, tken may we ask concerning certain tilings wkick are to come, and tken will wisdom and knowing he granted unto us, through the eating of this mystic salmon — for this knowledge cometli from tke realms of Otkerworld. And anotker patli in propkecy liave I also learned. For tkrougk a knowledge of tke clouds may we also come to know wkat yet skall come to pass. Yet must you wait until tke coming of Full Moon, and also for a time wlien clouds do gatker large and full witkin tke sky. Tken, as Fatker Sun dotk drop low unto tke eartk and tke clouds are yet aklaze witli fire, tken witkin tke early kours of evening as our fair Lady of tke Moon dotk soon rise up to skine ker face upon tke world, tken skall you take a small disk and take it unto a swiftly flowing stream. Tkence skall you fill it with the waters from this place and take yourself quietly unto your secret mystic place within the woods. 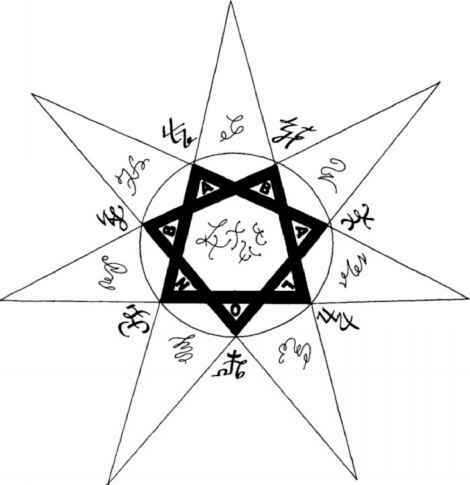 And there within the magick circle and after making due offerings unto the Ancient Ones of the Four Quarters and to our Lady of the Moon, than shall you place this dish of water upon the sacred earth. And as you gazeth down into the dish with quiet resolve, now may you observe the glowing clouds through the mirror of the water. Ask now your question of the future, and call the Ancient Ones of Otherworld to grant an answer through your soul. And now shall you gently place the howl aside and lay you down upon your hack within the magick circle — looking up unto the Moon-lit sky ahove. And as surely as the fire doth leave these clouds behind with the setting of the sun, now will the Moon-lit clouds assume new and wondrous shapes before you — and the faces of those who are both known and unknown will rise up within your gaze. 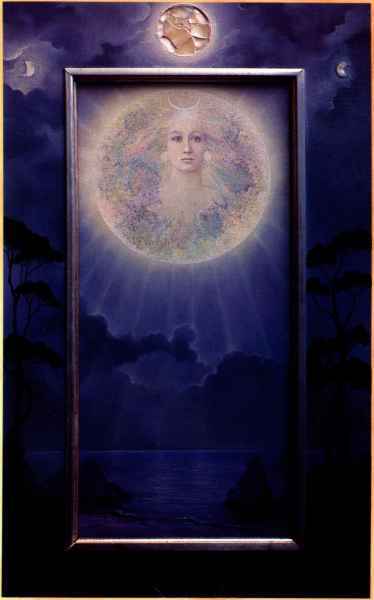 And at this time will your question of the future times be answered by Our Lady of the Moon. For she doth shine her wise light upon us and shares her secrets in the darkness of the night.